Theta Healing is a meditation training technique utilizing a spiritual philosophy for improvement and evolvement of mind, body and spirit. The ThetaHealing technique is not specific to one religion but accepting them all - with the purpose of getting closer to the Creator. It is a training method for your mind, body and spirit that allows you to clear limiting beliefs and live life with positive thoughts, developing virtues in all that we do. Through meditation and prayer, the ThetaHealing Technique creates a positive lifestyle. The ThetaHealing technique is best described as a way to tap into clear answers. It also enables the participant to find limiting beliefs and change them instantly. No long goals, no reading affirmations, no voodoo who-do, it involves just a simple realization and decision to change them and then witnessing the Creator instantly change them. THETA HEALING TRAINING WORKSHOP Theta Healing is a simple, practical, straight-forward technique that is easily learned and refined through repeated use. The more you use it, the more you develop your conscious awareness of the day to day things around you, as well as your unconscious consciousness of the intangible world. When you learn Theta Healing, you discover how to use the Theta Brainwave to reach a level of consciousness that allows you to change your emotional, mental, spiritual or physical reality instantaneously. Who Can Learn ThetaHealing? Theta Healing is simple and anyone can learn it - whether you are on your own path of personal development, a Practitioner in a related area or just plain curious! Practitioners with backgrounds in Psychotherapy, Coaching, NLP, Reiki, Naturopathy and other coaching and alternative therapy related backgrounds have found Theta Healing to be a natural extension to the skills that they already have. They have easily incorporated the Theta Healing technique into their work with fantastic results. 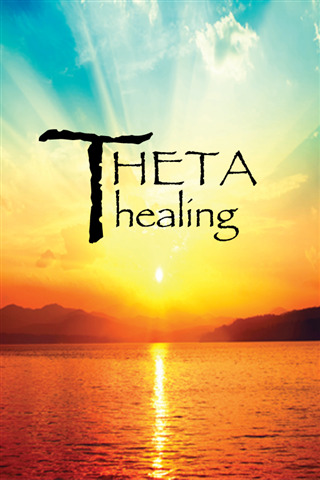 In addition, Judges, Medical Doctors, people with corporate backgrounds, Students, Mums, Dads and many, many people from all walks of life must have learned Theta Healing. You can use it to improve your daily personal and work lives, and some have even become Theta Healing Practitioners and Theta Healing Trainers. How Can ThetaHealing Be Used after the workshop? The possibilities for using Theta Healing are truly infinite and are really only limited by your imagination and desire to "try it" in any given circumstance! For instance, it has been used in such diverse areas as healing rifts in relationships, gaining confidence for public speaking, helping secure new jobs, manifesting the ideal home and partner, and improving sales performance and business relationships at work. You can use Theta Healing on yourself, your friends and family and even your animals. So How Does It Work? When you use Theta Healing, you connect to Universal Consciousness, the Energy of All That Is, using the Theta Brainwave. This is the energy from which all things are created. It is here that the work of instantaneous change / healing is performed. Theta Healing can help you address the emotional and psychological stresses and negative beliefs and programs that may be impacting your physical wellbeing.